Heat Treatment and Casting: Many schools are returning to the use of real casting in non ferrous alloys. However it is essential that safety guidelines and regulations are followed. 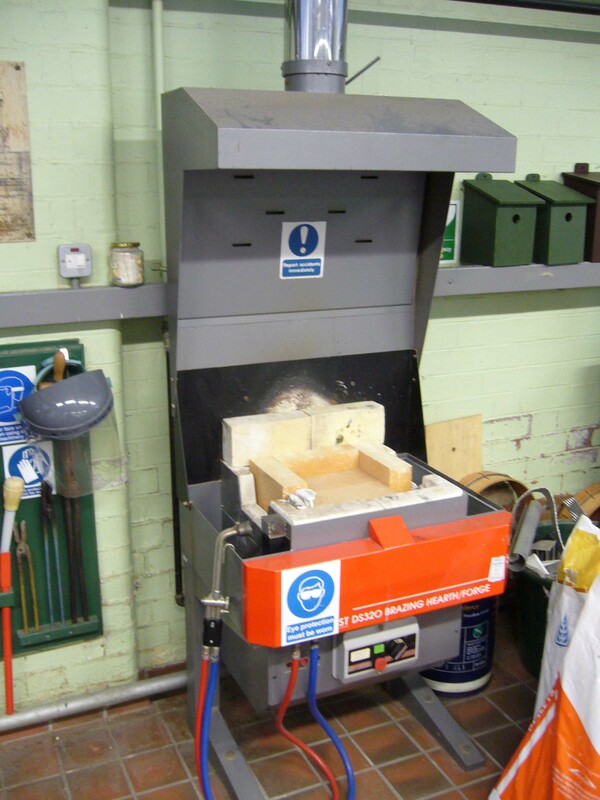 The example shown below is of good practice, good extraction, good equipment which is carefully stored ready for use. Above the equipment is well maintained and the staff have been trained in its correct use. This picture shows the flexible ducting (elephants trunk system) which can be positioned over the casting area to extract the fumes and some heat. When the cast is being poured it is moved out of the way to allow greater access. 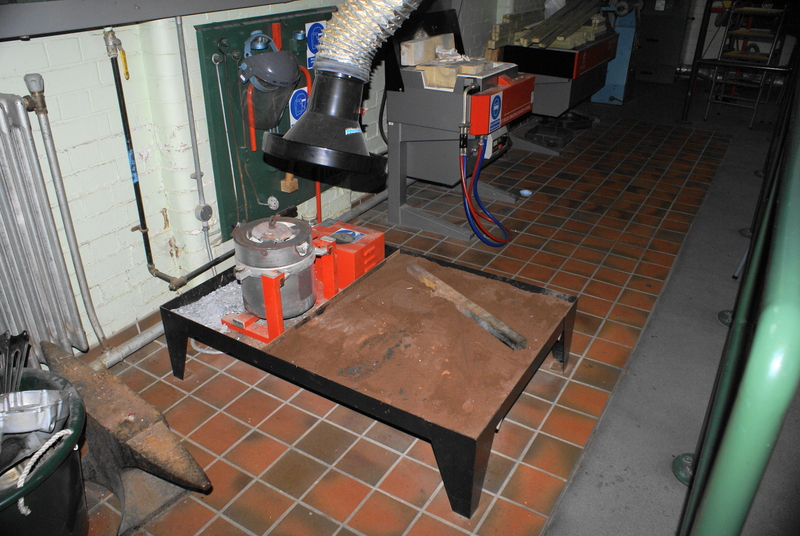 The system is ‘plumbed’ into out heat and fume extraction system for the forge which is shown below. It is neat, tidy and reasonably low noise in operation. The idea of the sand tray is that the operator can stand quite close but their feet are protected from any spillage and the operator is working on a firm solid surface. It also saves the operators back (manual handling issues) for any possible damage or injury caused by lifting the heavy boxes or casting equipment. 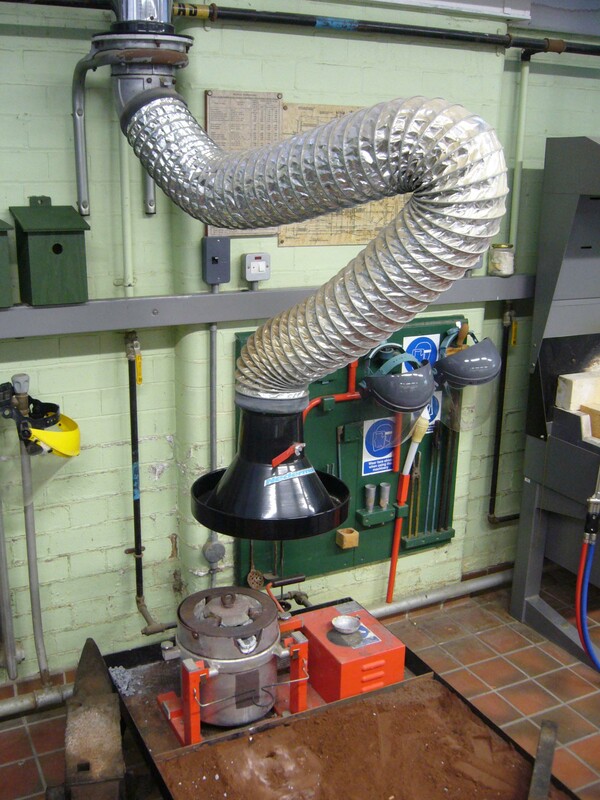 The forge shown above has its own extraction hood and takes the fumes and heat towards the back of the system and then up into the extraction ducting to the outside via a filter system. It is neat and tidy. 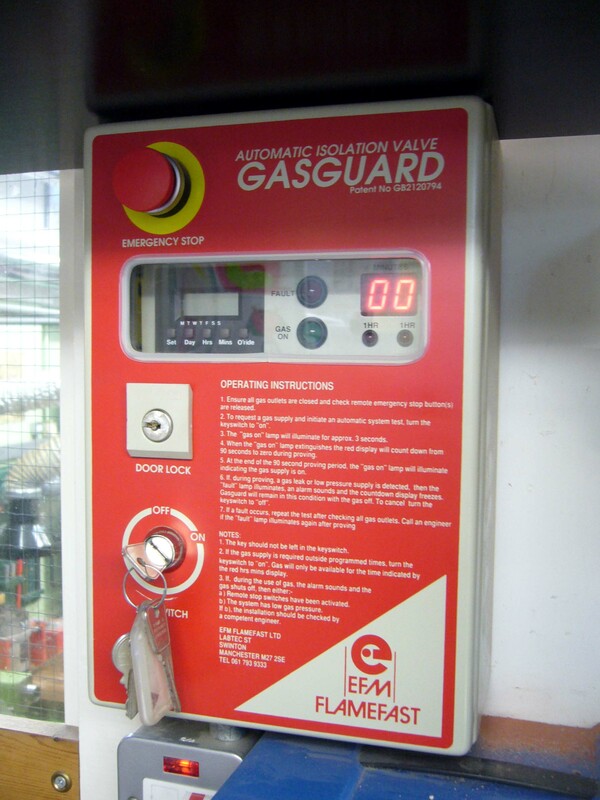 Gas Guard is an electronic control and test system for the heat treatment area. It pressure tests the system everytime it is used and ensures that it cannot be left on by mistake. BS 4163:2007 makes reference to this as a piece of safety equipment that is required. It shuts down if there is a power outage, if the power is turned off, if there is a fault or leak and if the gas supply is cut.